India’s second Mangrove Boardwalk opened in the heart of Panjim city a few months back (the first one is in the Andaman islands). Located right behind the Goa State Central Library (now also called Krishnadas Shama Library), this walk is an insight into the many types of mangrove species, the wildlife of the area and a call for a close interaction with nature. 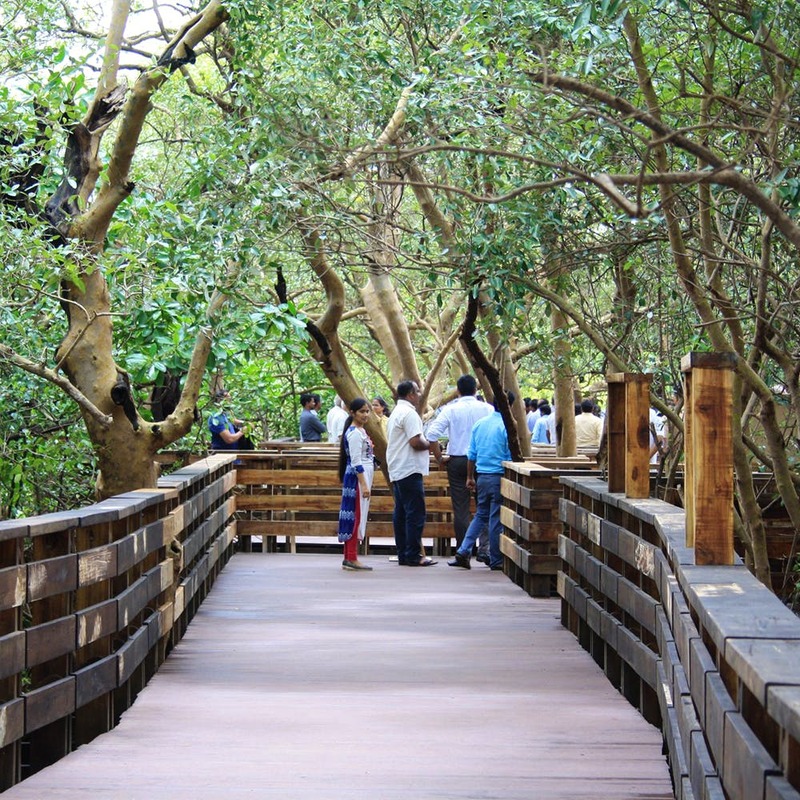 This first-of-its-kind walkway over the mangroves is for visitors to explore, discover and learn more about the flora and fauna of the region. Located over the Ourem Creek, this one is spread across 1,100 square metres and is free for all to visit. Opened to public a while ago, one can go here anytime of the day to just walk around, look at the frogs, crabs, birds and other creatures that reside in these mangroves. Oh, and there are 14 different types of mangroves there too. The importance of mangroves in protecting the coastal ecosystem from heavy floods and damage is something that most of us don’t really dwell on. But if you visit this boardwalk, it may just help you understand how nature has provided us with everything. Young or old, environmentally aware or not, a visit here will bring a lot of insights. Plus, it also has benches for those who just want to sit and enjoy the peace and quiet. Off late, lots of locals have taken to this wooden walkway to get away from the city and soak in all of this natural beauty. It helps to know that the making of this boardwalk didn't require any deforestation and was made keeping in mind the ecosystem. And, who do we thank for this? The Imagine Panaji Smart City Development Project with assistance from the Central Ministry of Housing & Urban Affairs. Take a thermos of coffee and your camera with you, and we bet you will be glad that you made the effort. Also, please get your trash back with you and avoid littering this beauty.